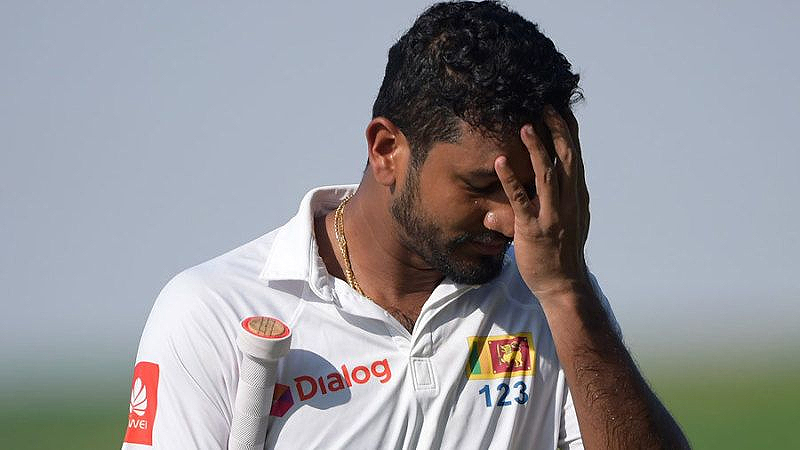 COLOMBO: Sri Lankan Test cricket captain Dimuth Karunaratne has been arrested and charged with driving under the influence of alcohol after an accident in the capital, police said yesterday. Karunaratne, 30, was taken into custody following the pre-dawn accident that resulted in the driver of a three-wheel taxi being taken to hospital. “We have released him on personal bail, but he was asked to be in court today for a magisterial inquiry,” a police spokesman said, adding that his vehicle was detained.